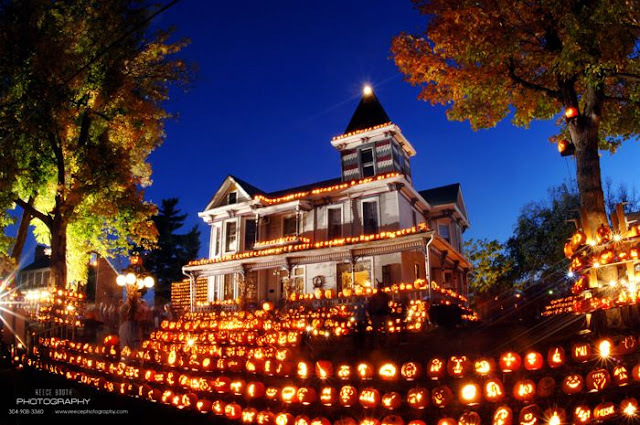 Located in Kenova, West Virginia, The Pumpkin House is famous worldwide. The owners of the house carve hundreds of pumpkins and decorate the entire outside of their house and property. They theme flashing pumpkins to music, have food vendors every night and it's all for free. I would go every year to check it out when I was living 15 minutes away from it. 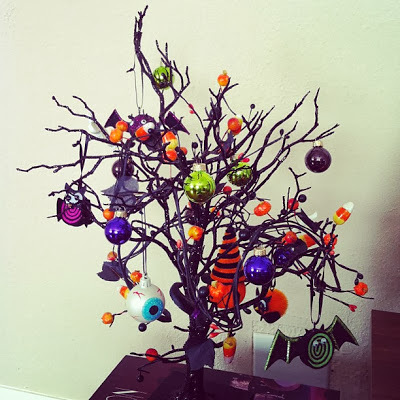 I have this foot tall tree that gets decorated for Halloween every year and I love it. It's simple, small and does the job. It has a permanent place on my foyer table for the month of October. 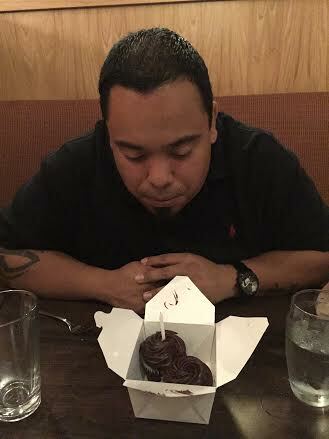 This month he turns the big 33 at the end of the month and I'm going to bake him the best cake! I already gave him his big birthday present but I'm sure he'll get a little something on his actual birthday. Love you! Seriously. I want both of these and tons more. 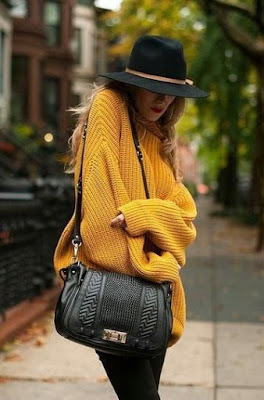 I love a good sweater and these are perfect! Maybe it's because I'm from the east coast and use to burrowing for the winter but I am busting at the seams to get into sweater weather! I hate being cold but I sure do love a good sweater. 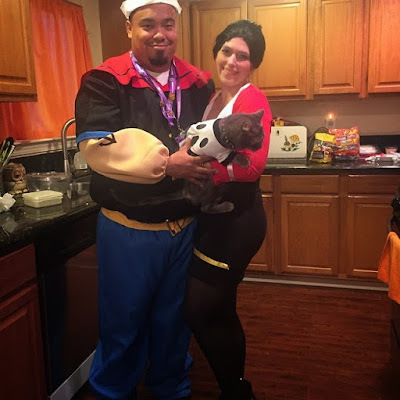 Last year Beezy and I dressed up as Popeye and Olive Oil. This year we have to figure out our costumes. Any suggestions? I'm thinking this year we might go as something from television or a movie. What's some things you love about fall? OOO what did you get him for his birthday?? 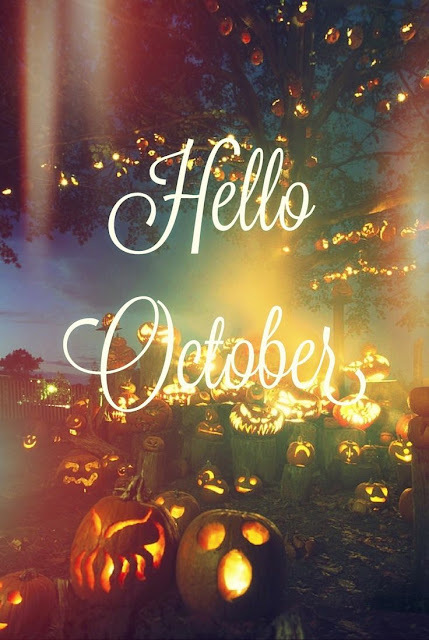 I love October! The promise of holidays without the rush of the holiday season quite yet... the spicy smells... the weather! I love your chunky sweaters and Halloween Tree..!! I love big sweaters.. they are so cozy! 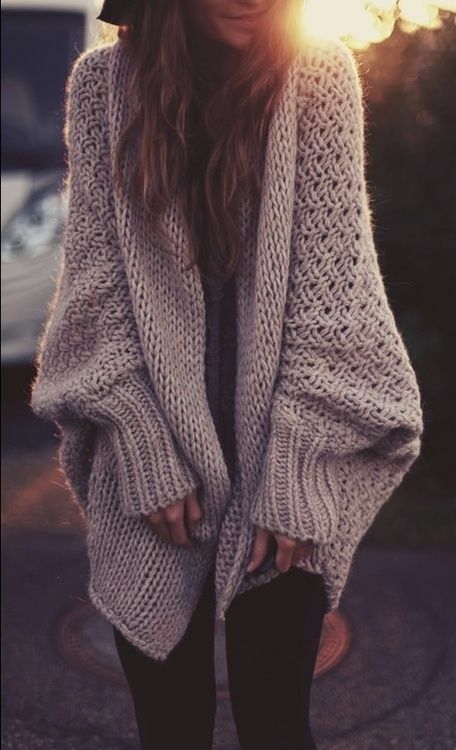 Love comfy sweaters! My baby girl's birthday is in October and so is our wedding anniversary, so I LOVE October. I am also over these hot temps. Go away heat! I'd be thrilled with 70s lol. I'm not a fan of PSLs either. Meh.